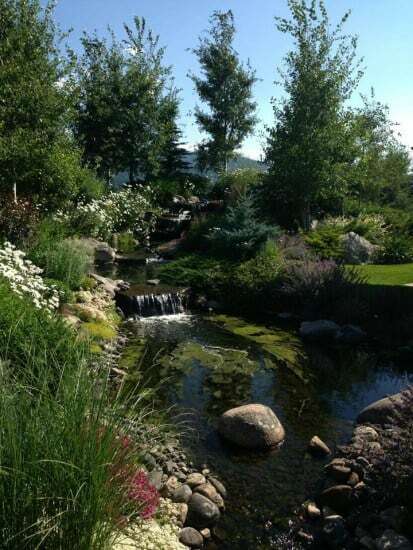 Home » Bozeman Montana Real Estate Blog » Tidbits » Summertime in Bozeman! There are few things as special and fulfilling than spending time with the people you love, in a place as beautiful as Bozeman. My children and I absolutely welcomed this wonderful distraction at The Uhlmann house and were reminded of how great it is to be surrounded by such incredibly special people, spending actual time. Bozeman is not, by far, a fast-paced concrete jungle but life can and does move quickly here when you need it to and the opposite when you’re ready for something slightly slower. 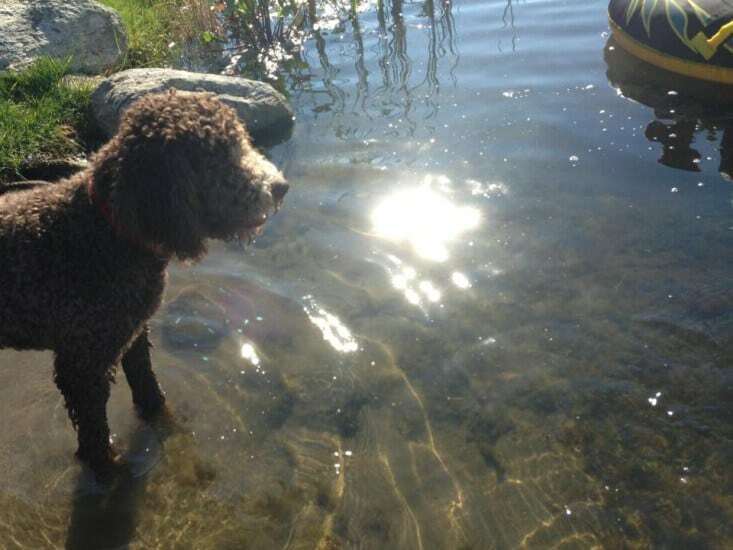 We walked the lush gardens, picked berries and peas for a delicious dinner, visited those blessed hens that lay such wonderful eggs and played in the lake. Summertime in Bozeman is magnificent. 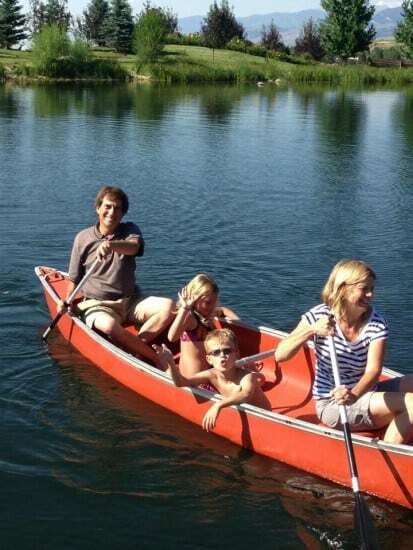 My favorite part was watching Sally, Robert and the children shove off onto their adventure in the canoe and then again with Robert in the kayak while the puppy, Rupert, learned that water is your friend. I often tell my children that we are the luckiest people alive because of where we live and the people around us. They know this to be the truth. 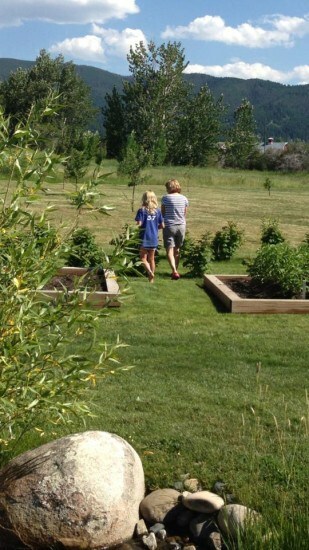 Comments Off on Summertime in Bozeman!